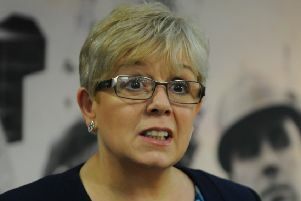 Mary Glindon, North Tyneside MP. Can you spare a couple of hours a month for a noble cause that will help your friends, family, community and country? The cause is Cancer Research UK’s determination to ensure that three out of four people are surviving their cancer diagnosis. This means volunteering to be the cancer campaigns ambassador for North Tyneside. The charity is looking for someone with passion, enthusiasm and stories to bring its campaigns to life and influence politicians to make sure cancer is a priority. The ambassador doesn’t need to have experience of politics or campaigning, just the drive to make a difference and the desire to see change happen locally and nationally. You would be trained in contacting your MP (easy enough given it’s me), and influencing policy on the NHS, tobacco and obesity. You’ll be joining 400 other ambassadors across the country to campaign on cancer prevention, early diagnosis, science research and access to treatments. Put your area on the political map by applying to become an ambassador. You’ll do your campaign actions in your own time, at your own pace so you need to be organised and a ‘self-starter’. You’ll be part of a national campaign, rather than starting from scratch. A lot can be done by amplifying messages on social media. Please have a think about doing it. You’ll certainly have my support. Beating cancer is a collective goal. Your country needs you.